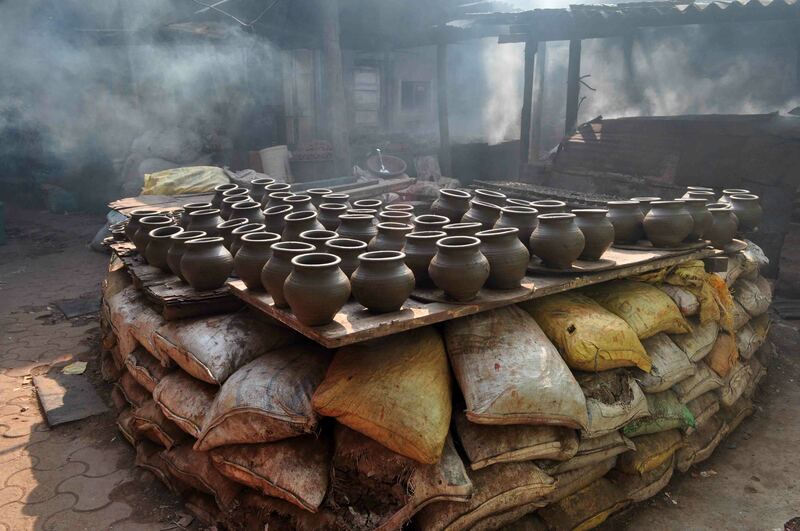 It is the busiest season of the year in Kumbharwada, the settlement of potters in Dharavi. 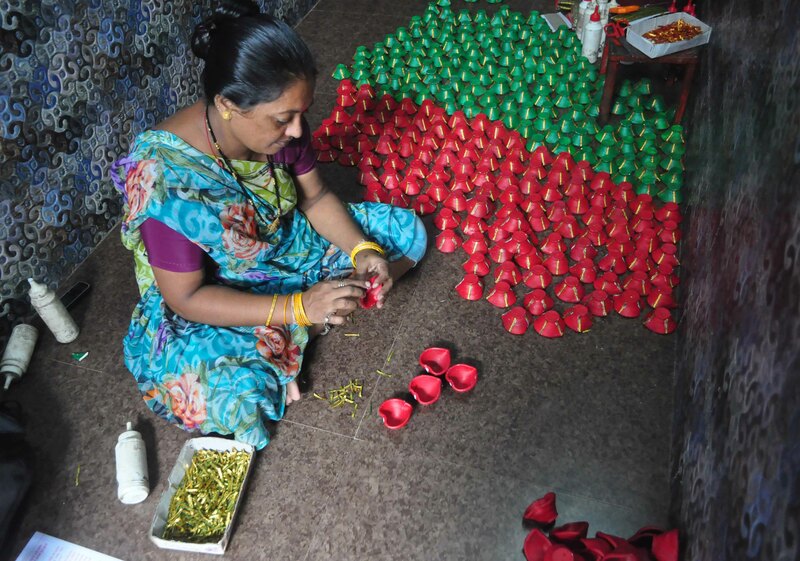 Women repeatedly dip diyas into red paint, older women have small stalls on 90 Feet Road and have no time for wasteful chit-chat, perspiring men have heated telephonic arguments about diya orders, and broken pieces of earthenware are scattered across the lanes: it’s business and busy-ness. 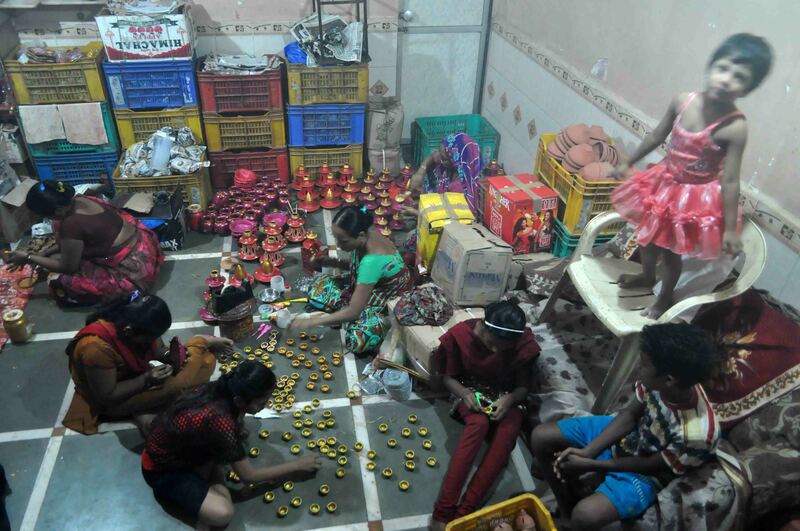 As in the rest of the city, Diwali arrangements are in full swing, and preparation for Kumbharwada families means not just shopping, but also selling. 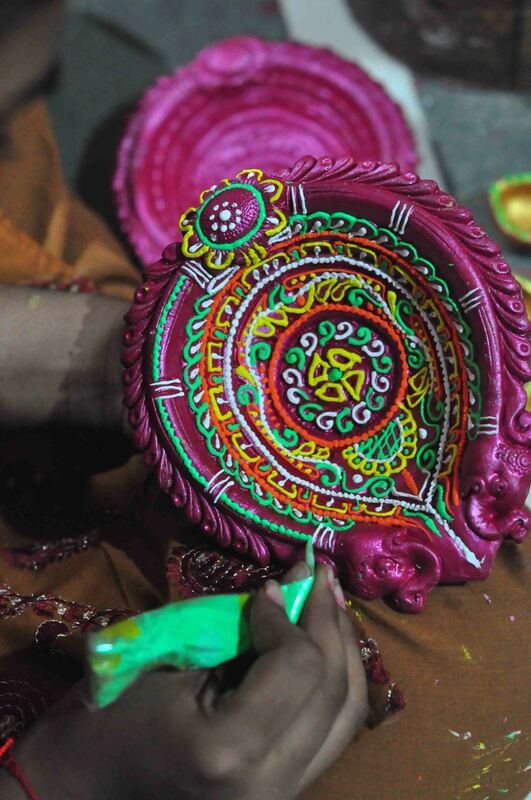 For the three months leading up to Diwali, families are immersed in the household business of making earthenware – from diyas to idols – for local markets and for export. 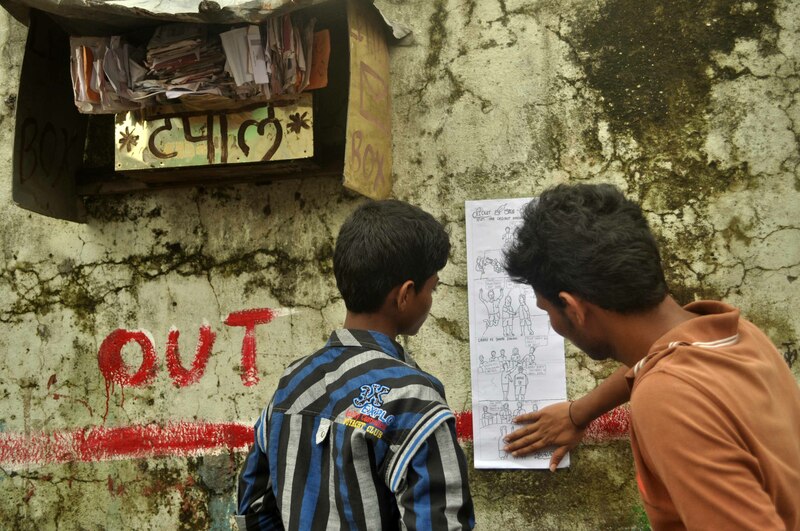 About 20 boys and girls and men were mentored by Chaitanya Modak (a comics creator and illustrator) and drew comics on injuries. Injuries both inside and outside. Injuries of the body and injuries of the mind. In just four days, many of the participants, who were just recent initiates into the understanding of comics (leave alone the making of comics), drew four paneled and six paneled comics on injuries. Since there were varied interpretations of what injuries could mean, the participants unleashed these on paper. 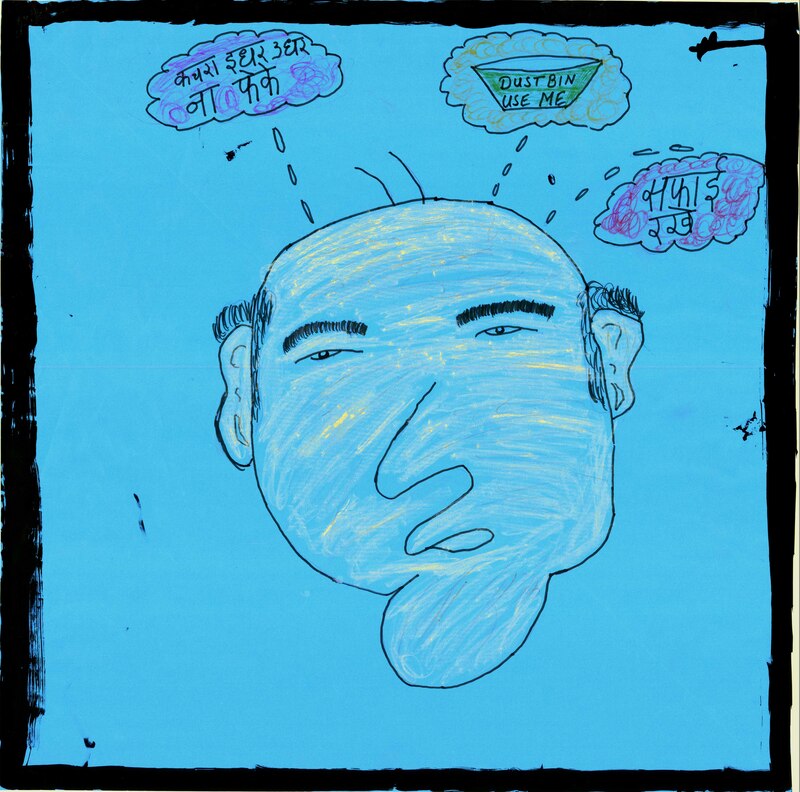 Saraswati’s comic (Koi To Meri Suno: Someone please listen to me) was about depression, while Manoj’s comic was about dog bites. 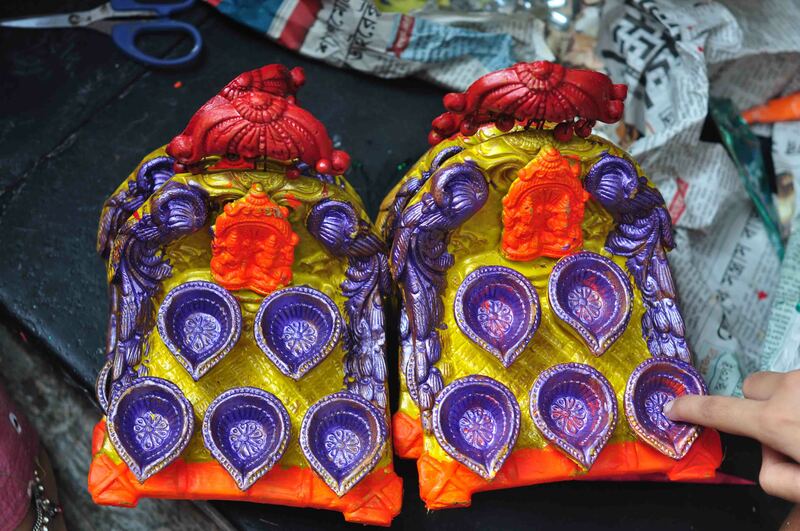 Some interpretations were the result of Dr. Anil More’s observations. 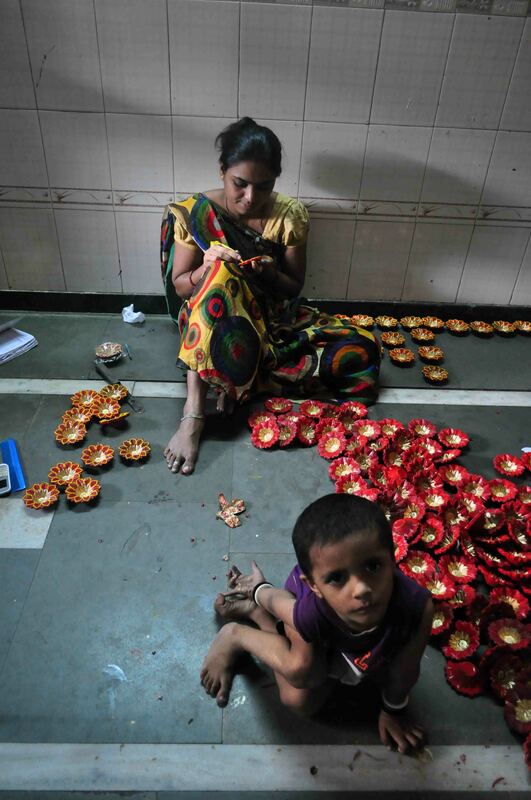 Anil is a doctor attached to the Sion Hospital and has seen several cases come in from Dharavi. He says that most of these cases are due to accidents, street fights and dog bites. One of the most intriguing comics was by Raghavendra in which a boy thinks he is a superhero and therefore meets with an accident. Lots of excitement and the frenzy of pen on paper. 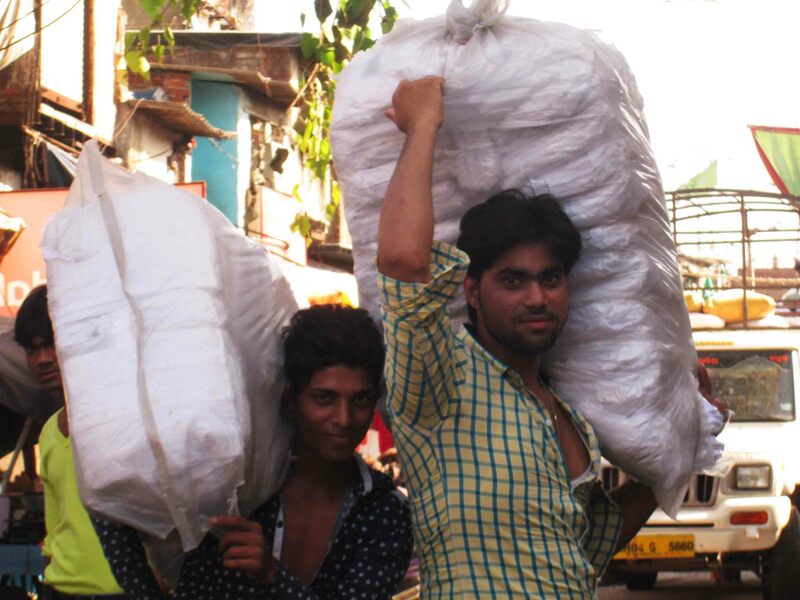 Transit Camp, where Kishan, Nilesh, Raghavendra and the very lazy Avinash went, is a busy hub where people crisscross the streets or gather in the corners. Groups of men, shopkeepers and schoolchildren gathered fervently around the comics we put up and asked one resounding question: What is this about? Read, we said. “Many people were initially a little resistant to the idea of comics. 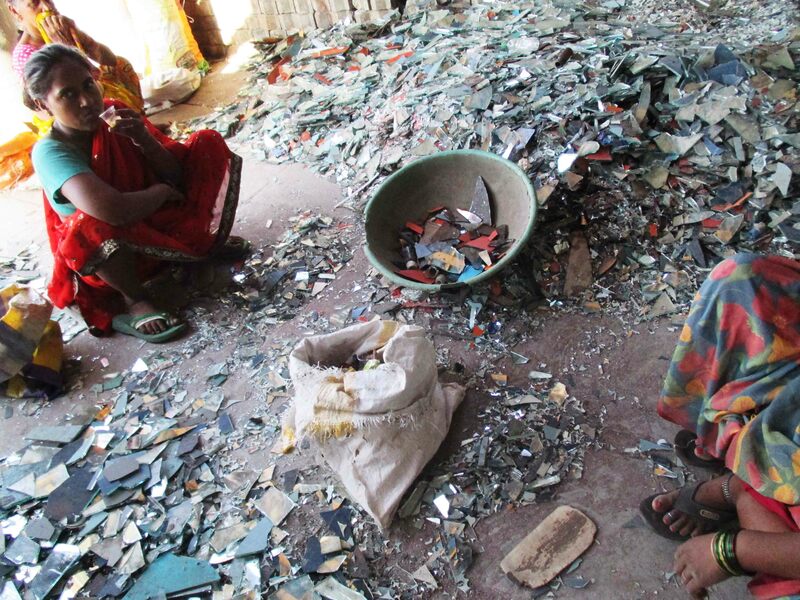 But they eventually got around to reading them,” observed Nilesh. People who read the comics could easily relate to the situations portrayed. 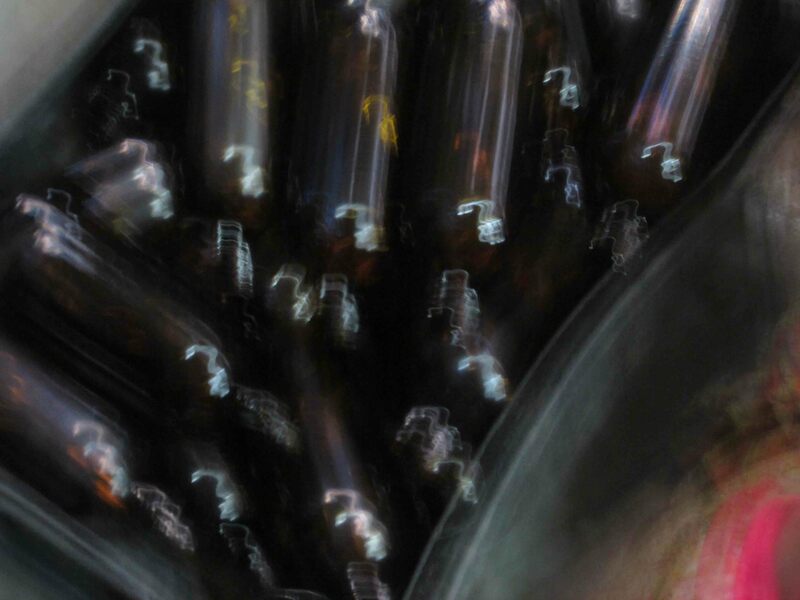 Among those who read Raghavendra’s story about the delusional boy who thought he was a superhero, one man said, “I knew someone who thought was like Shaktimaan and tried to jump from a building.” People read Ravi’s comic on alcoholism and wanted to know where they could get info on deaddiction. 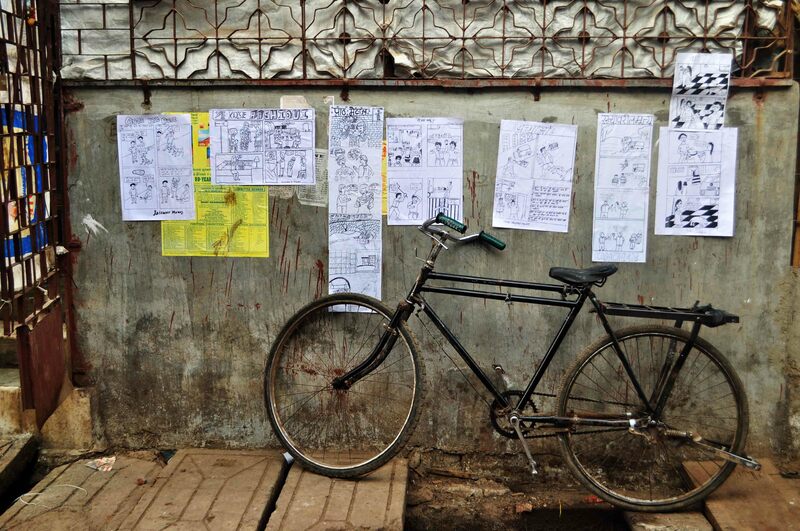 Manoj, who went to neighboring Shastri Nagar to put up some comics, said, “Many people loved looking at the comics. 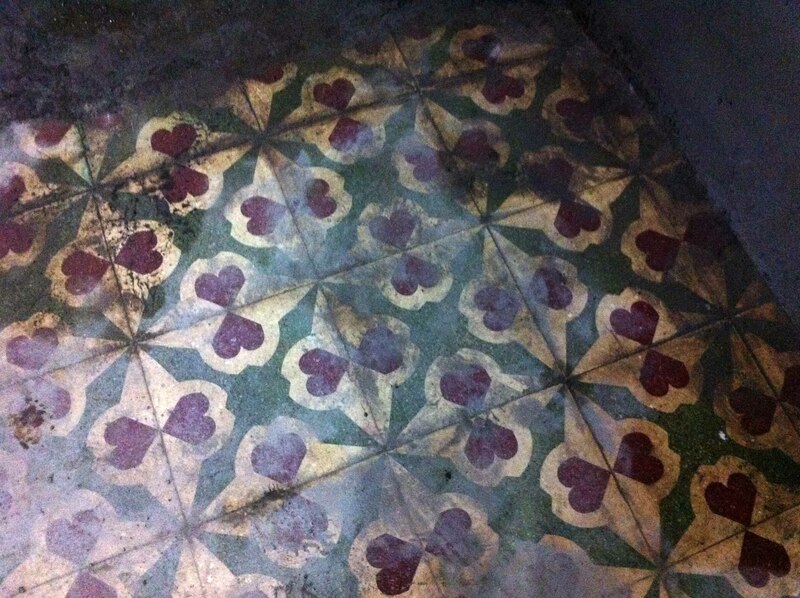 But they had never seen something like this and did not know where to start reading. They asked me: Tell us where to start.” The form is a little unusual for a majority of the population. While they are well exposed to cinema, novels and plays, this form of storytelling requires a bit more attention. The participants found a lot of support from the communities they went to. 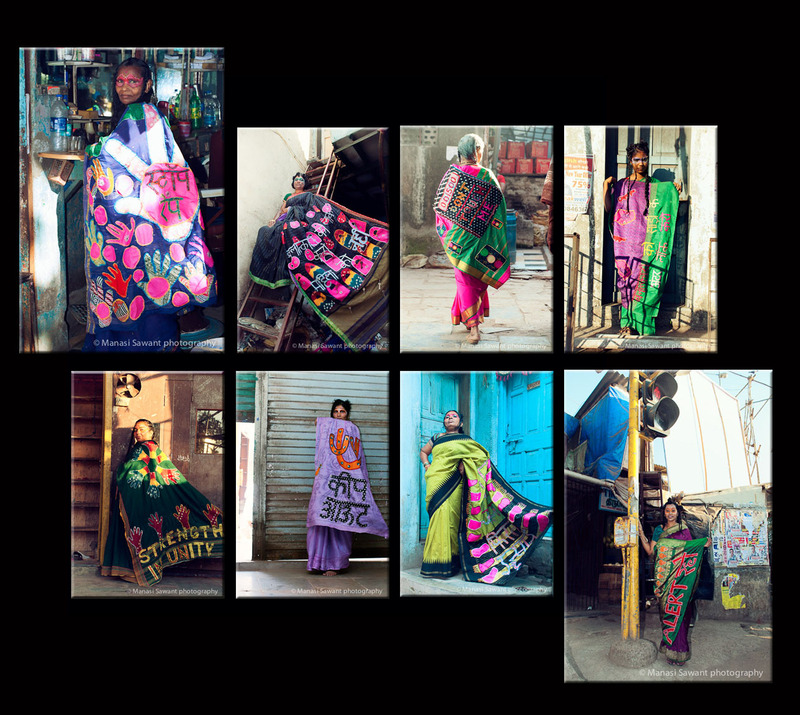 Some shopkeepers were a little suspicious of our work but most others were forthcoming with praise and suggestions. Some men suggested that the public toilets would be the best place to put up the comics. Before we could object to their remark, a man said, “Because this is where men will stand for some time and read.” Considering we spread our monochrome comics over colourful propaganda posters, prayer meeting announcements and loud adverts, it was a pretty good response from the public. 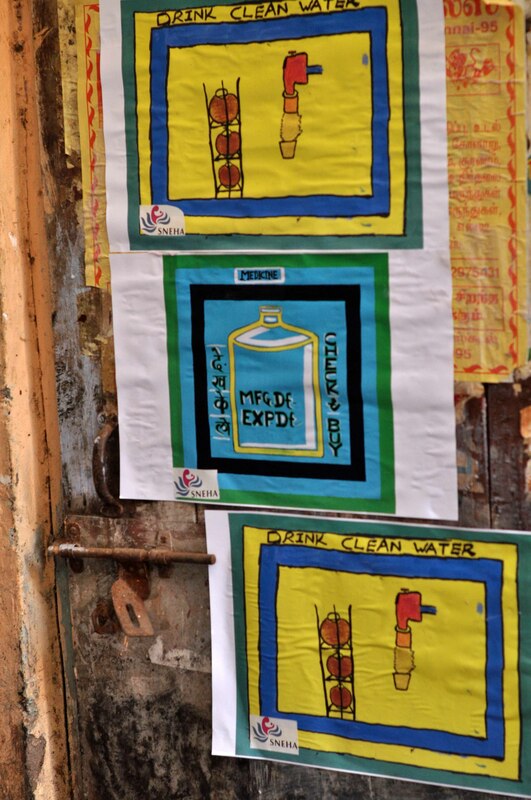 Dharavi Biennale Health Signs on the Streets! 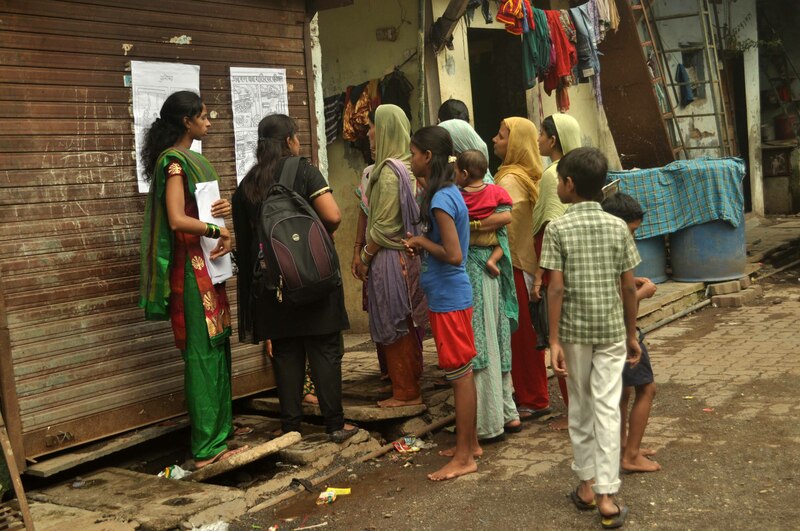 Earlier this month, we scanned the streets of Dharavi for some health signs. 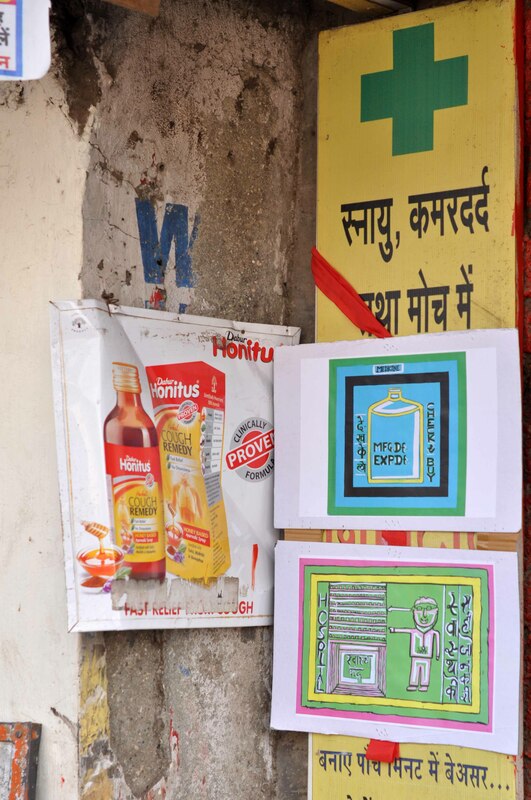 Our participants, led by Khushboo Bharti, then came up with their own health signs that we put across areas in Dharavi. We put up these colourful signs at chemist shops, near garbage bins, at a ironing man’s stall and on the gates of buildings. Some were random places really. Some, however, were calculated. 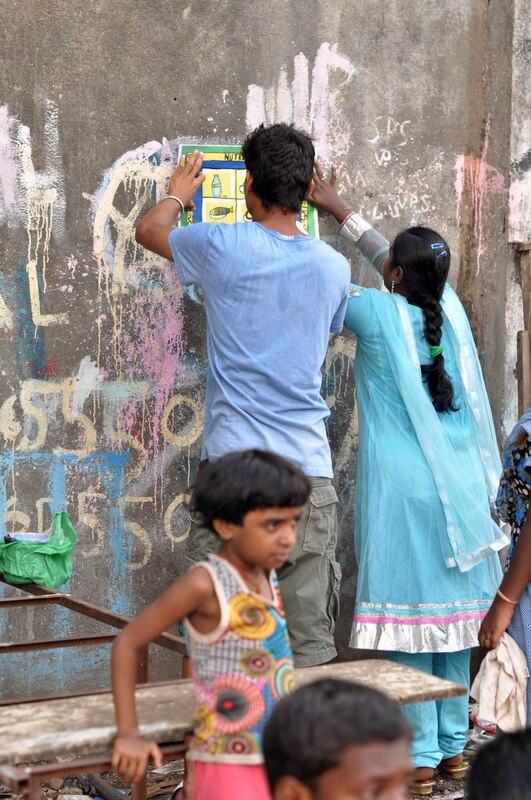 As we went around pasting the health signs and getting our hands dirty, we received varied reactions from the locals. Most of them empathized with the messages in the signs and discussed the issues with us. 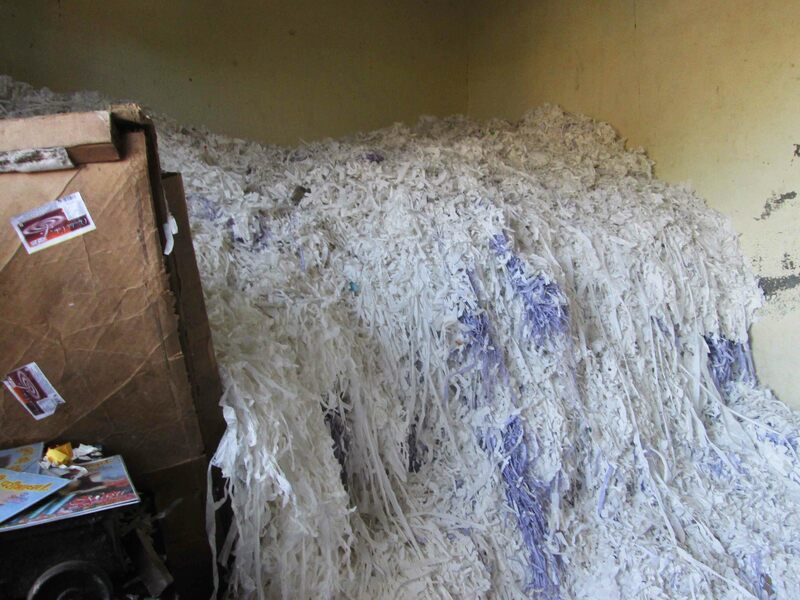 But that was not before they gave a good piece of their mind to those present and those absent – namely us, the government and the municipal corporation. 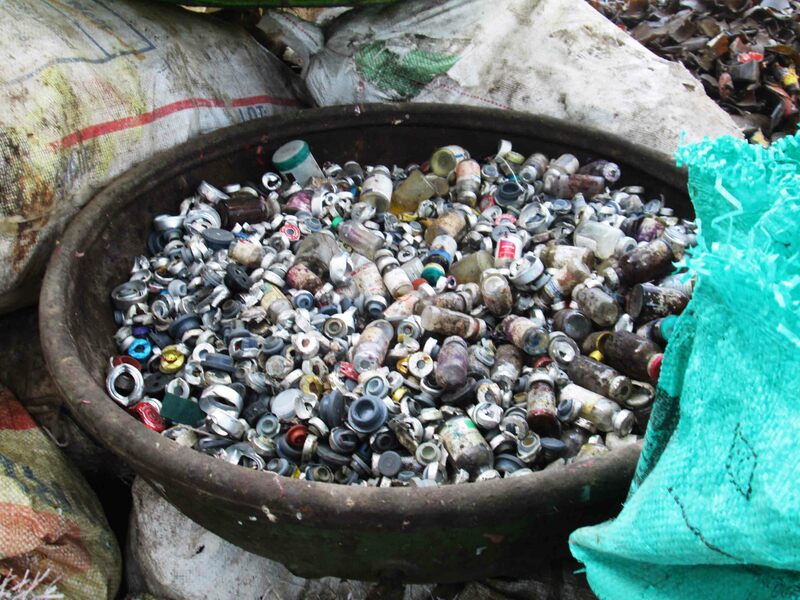 Their honest feedback was that while awareness campaigns are seen in the area, very little change has occurred. 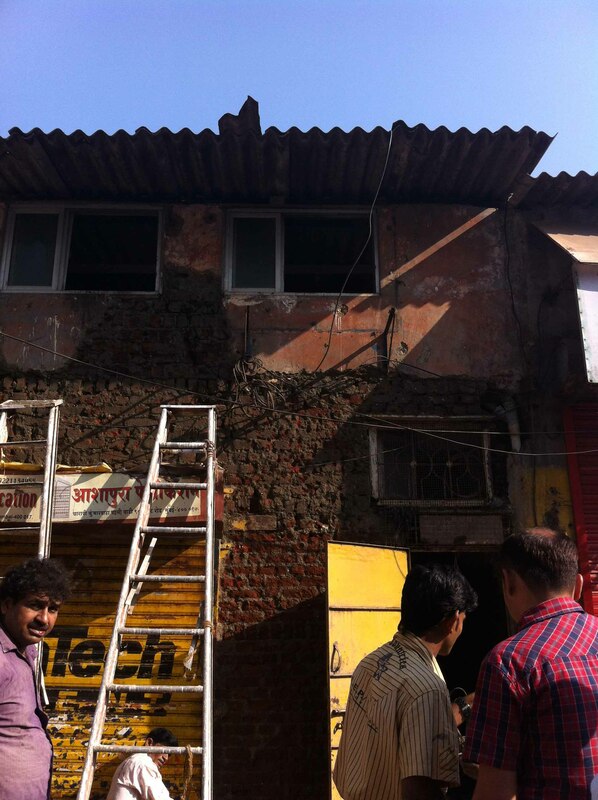 One lady who lived off 60 Feet Road specially pointed to a gutter and said how it hasn’t been repaired for years together. 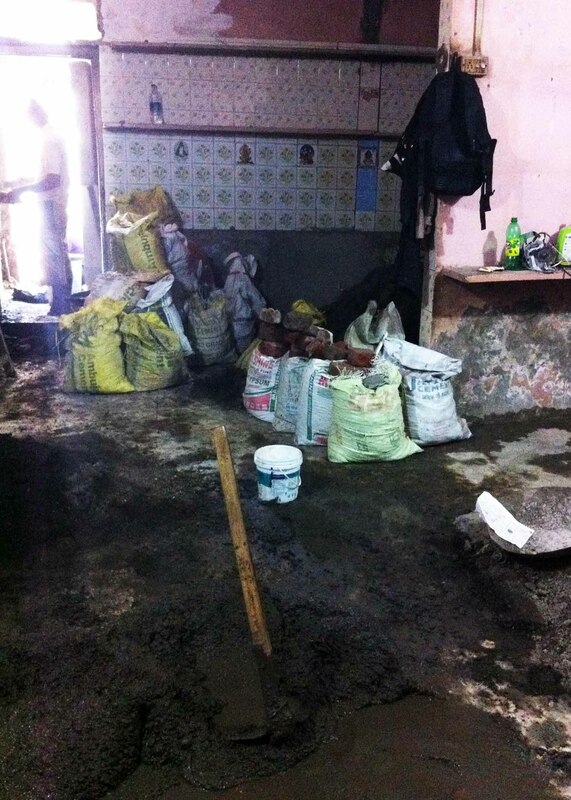 There is a general feeling of grievance against public bodies felt in the area since they feel neglected and exploited. Thus, we could understand their initial faithlessness in us and our signs. But we do believe that we did our very best in communicating about health to the locals. 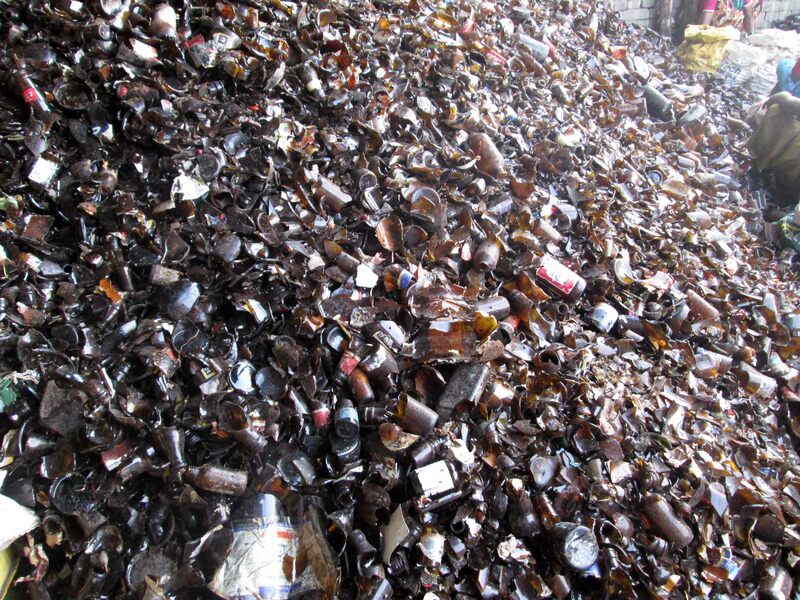 Perhaps, the first step to public hygiene is to start at the personal level and develop a civic sense as well. 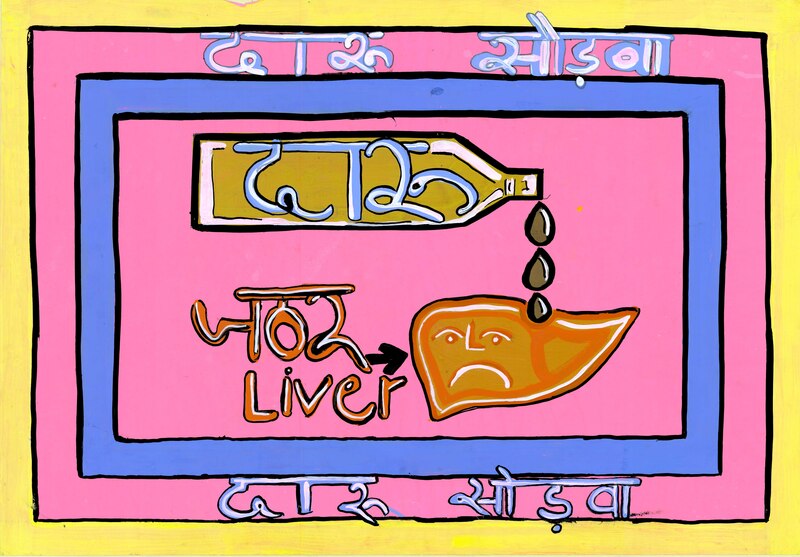 We were a little wily in pasting anti-alcoholism posters outside a tea-stall. Some of the participants very sincerely asked us if we should paste them outside the several bars that we see around Dharavi. But, how would that work? 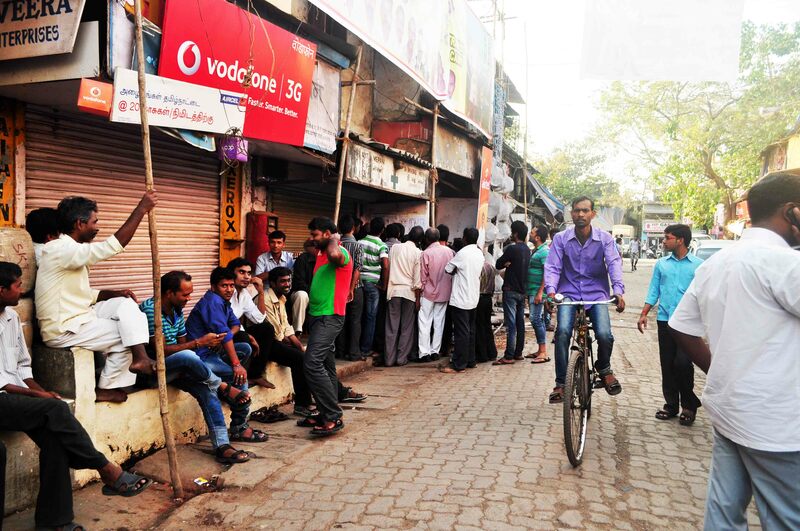 The posters would be taken down the minute we put them up outside a liquor shop. That is, if we are allowed to paste those signs there in the first place. 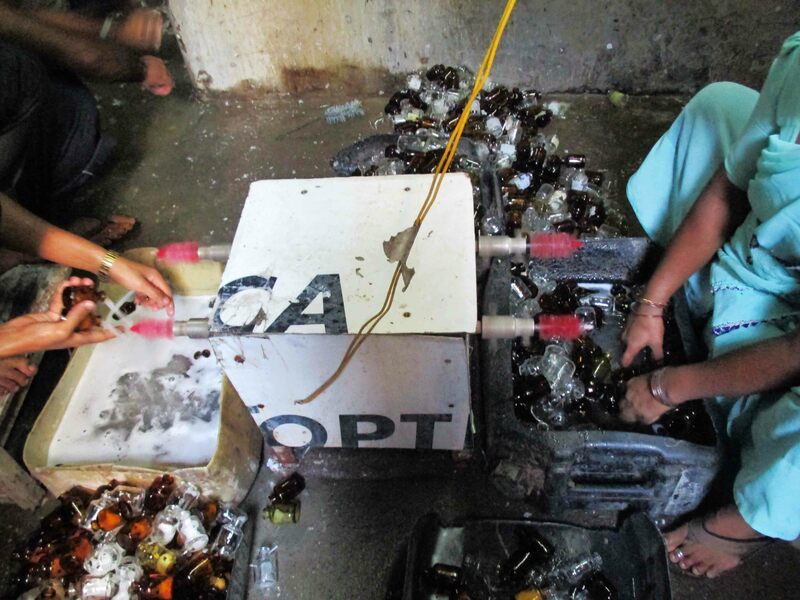 We thought we were successful in pasting the anti-alcoholism posters outside the tea-stall. 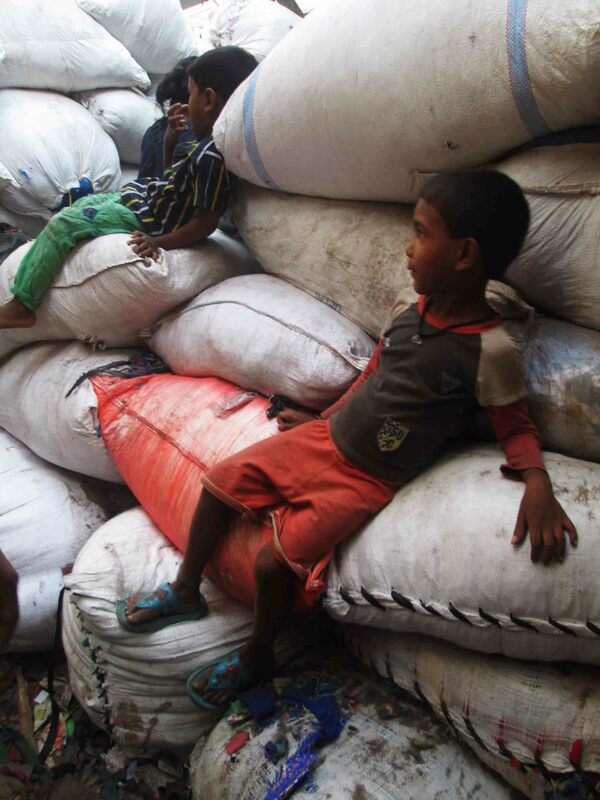 The people looked at us curiously and for a moment we though our strategy would work! When we walked past the stall a few days later, we found the posters missing. Well, nobody said we weren’t resilient. 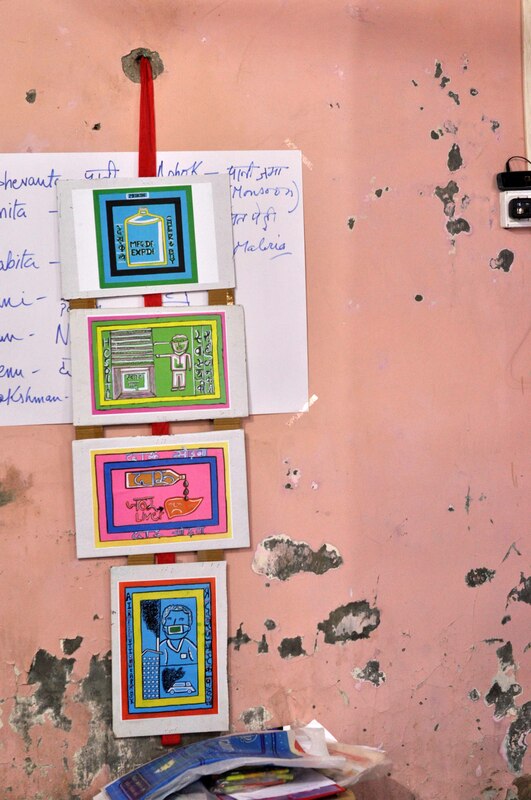 From our most recent Art Box by Khushboo Bharti in which our participants made hand-drawn signs to be put all across Dharavi. These signs address some of the local health issues such as garbage disposal, alcohol addiction and timely visit to doctors. 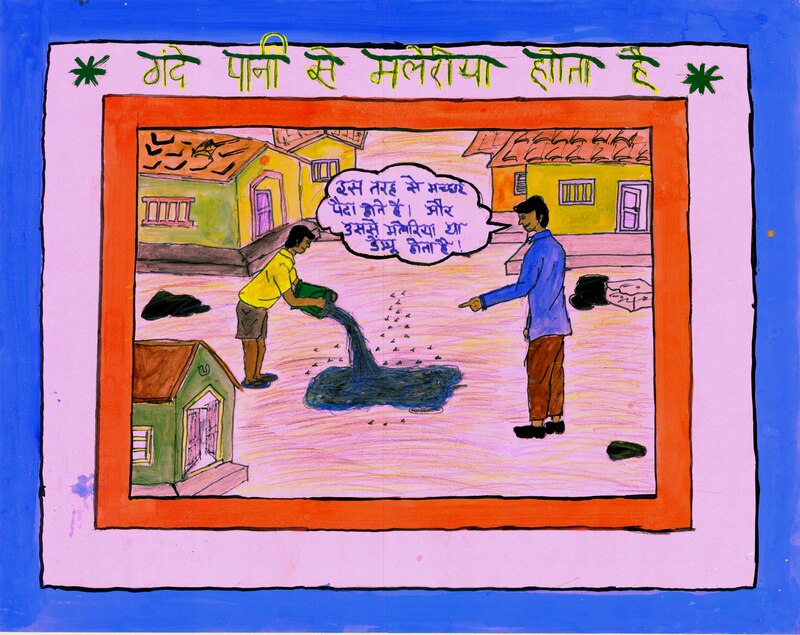 Drawn by Babita, the sign urges people to avail correct information regarding health from accurate sources. By Anita, this sign addresses a common problem in Mumbai. You see a garbage bin but you will find garbage lying all AROUND it rather than in it. 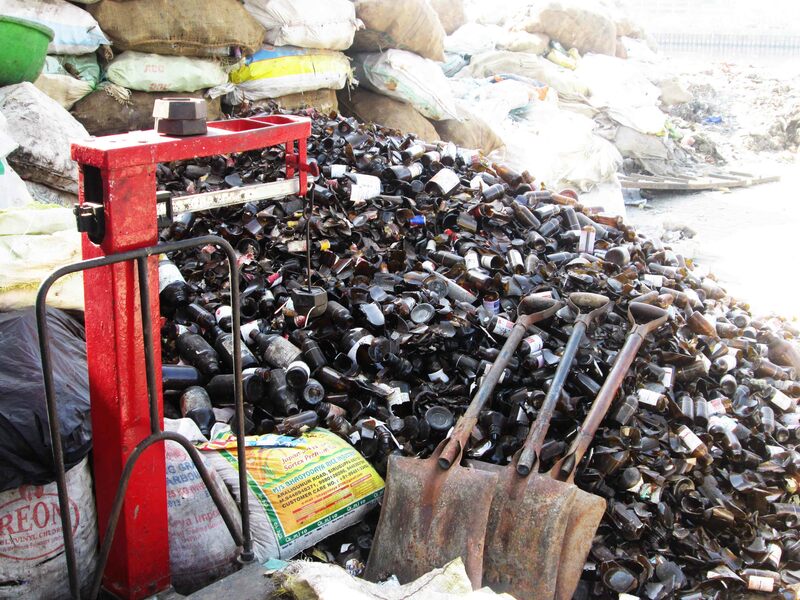 Is it because the amount of waste generated is more than the number of disposal options? Or it because we are generally lazy and careless? 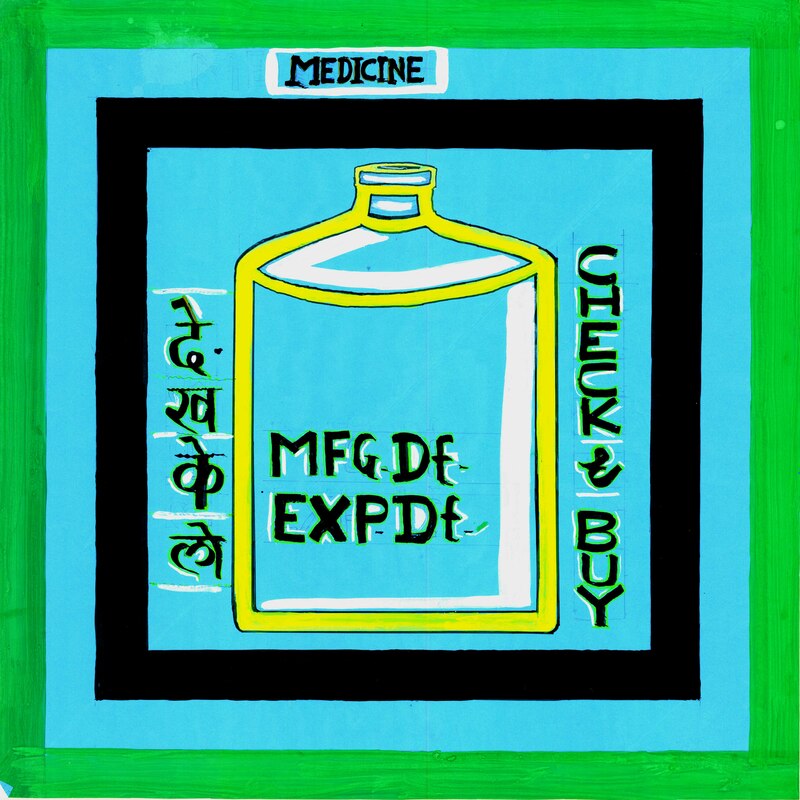 Made by our oldest participant, Lakshman, this one tells you the importance of checking the expiry dates of medicines. 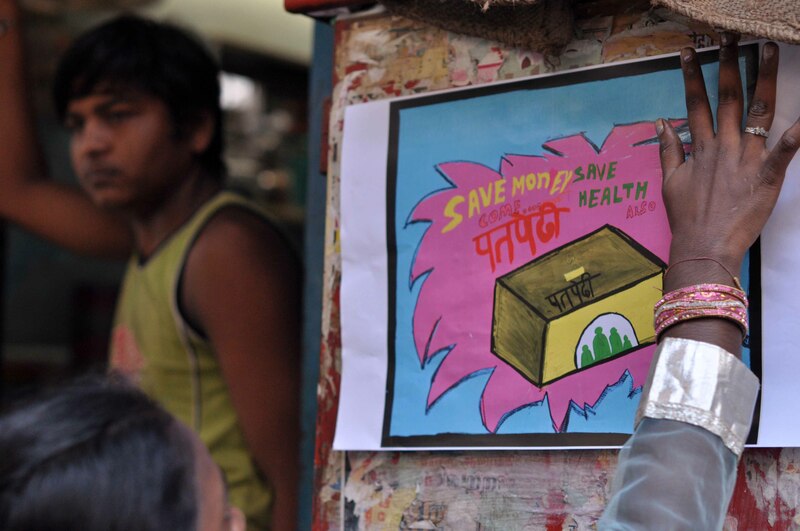 By the very enthusiastic Akash, who made a little cartoon like sign that tells you how to control the spread of malaria. 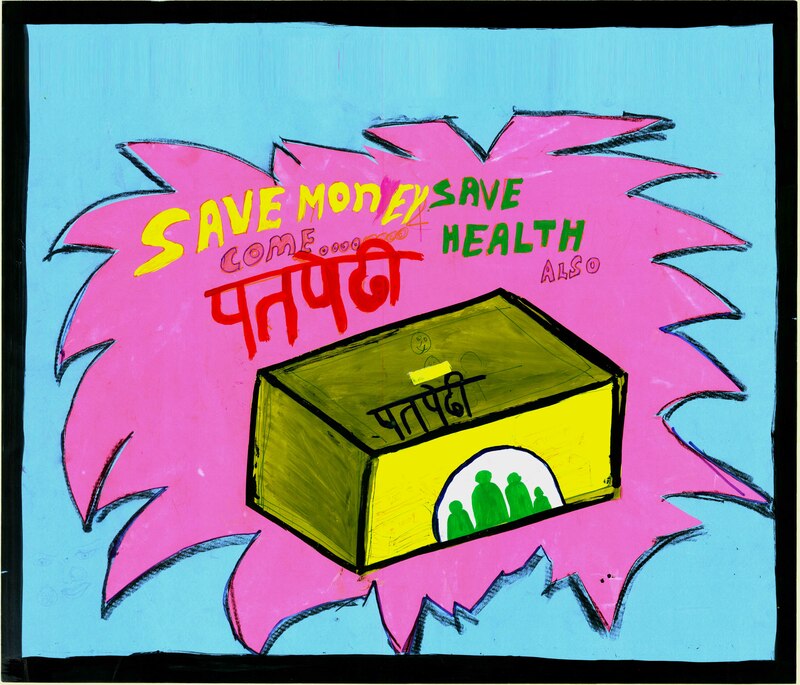 By Akshay, this very attractive sign, is about the approaching local groups for help with medical relief if necessary. This lovely sign was drawn by Renu. You get what’s it about, don’t you? We loved it! 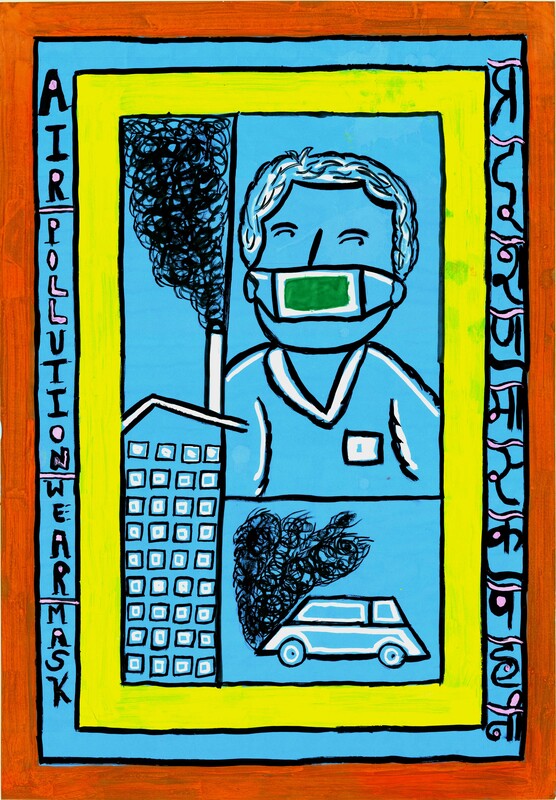 By Rani, this poster warns us about air pollution. 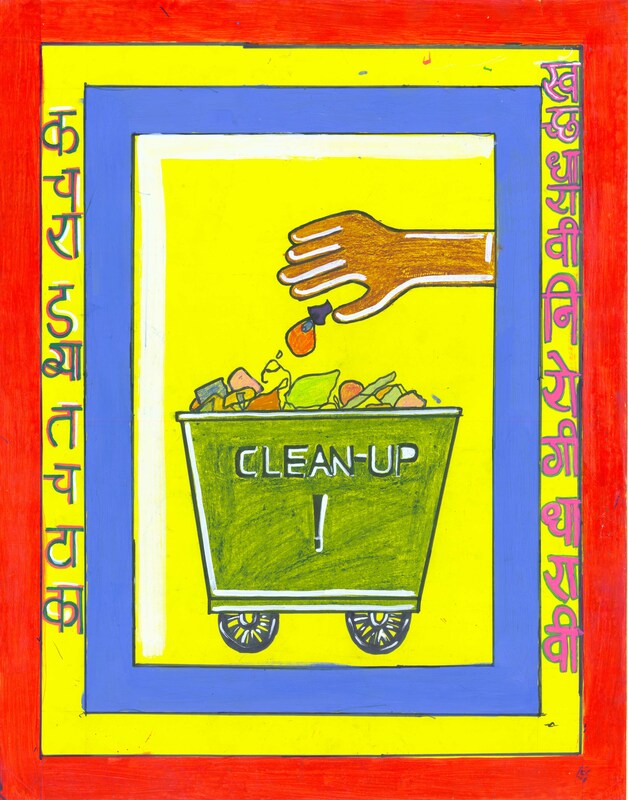 Drawn by our very own Dipesh Thakker, our new project coordinator, this sign is about the correct method of waste disposal. Rainy day. But it stopped raining when we set out and started pouring when we finished. In between we had some sunny comic relief. 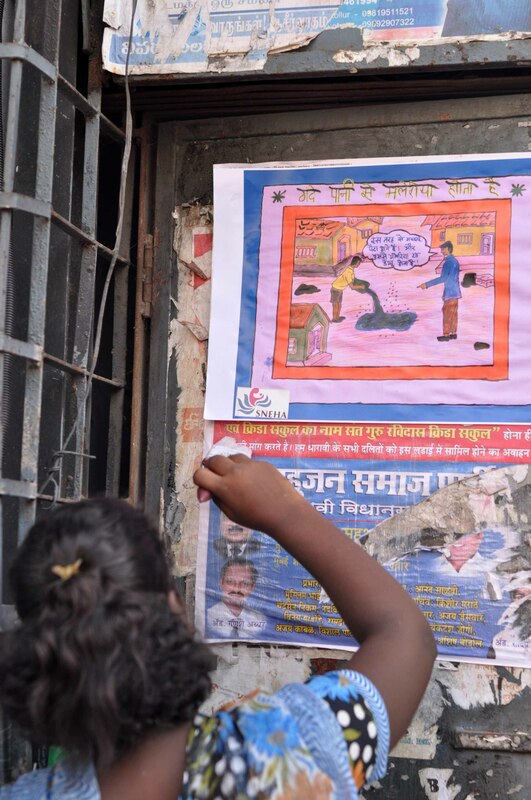 Armed with rolls of comics posters that we had made and a pail of glue, we invaded the streets of Kumbharwada, Sri Shakti Nagar and Naik Nagar. 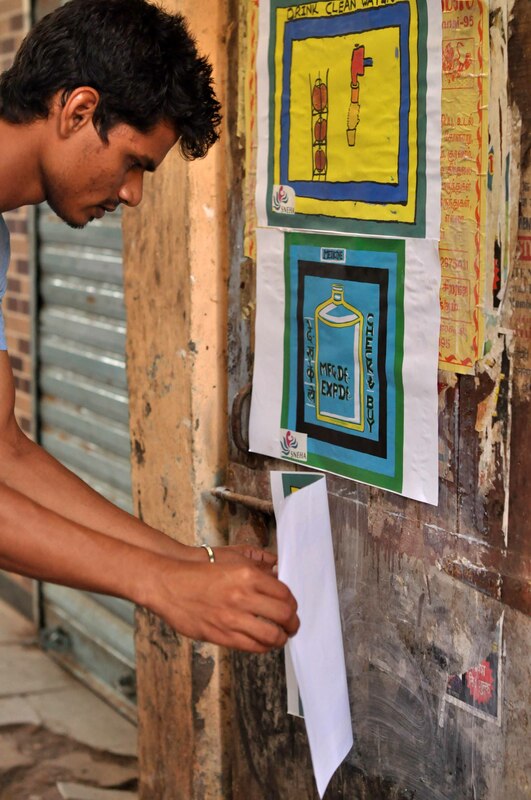 In little battalions, we pasted the comics we had made on the walls of houses, compound walls and shutters of shops. 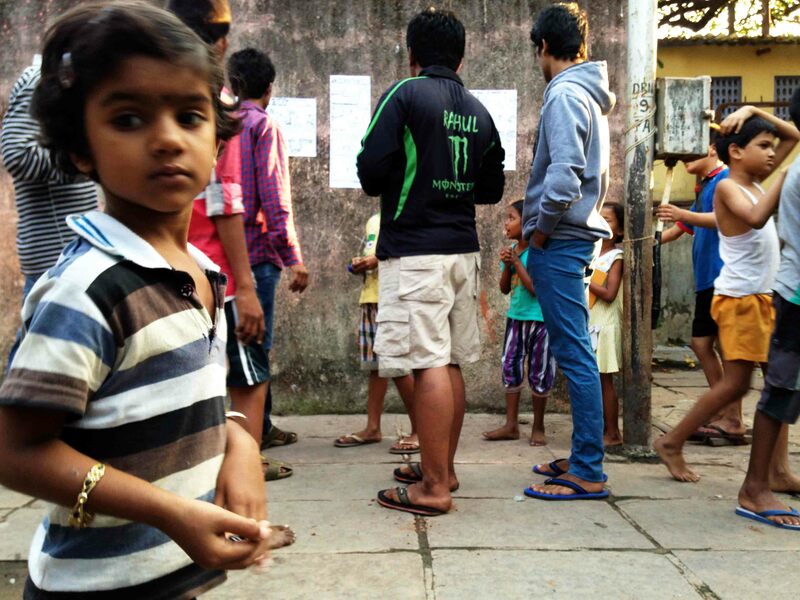 Chaitanya Modak, the mentor artist, said that the agenda was to interact with locals and get them talking about our comics – the themes we had portrayed, the incidents depicted and the techniques. 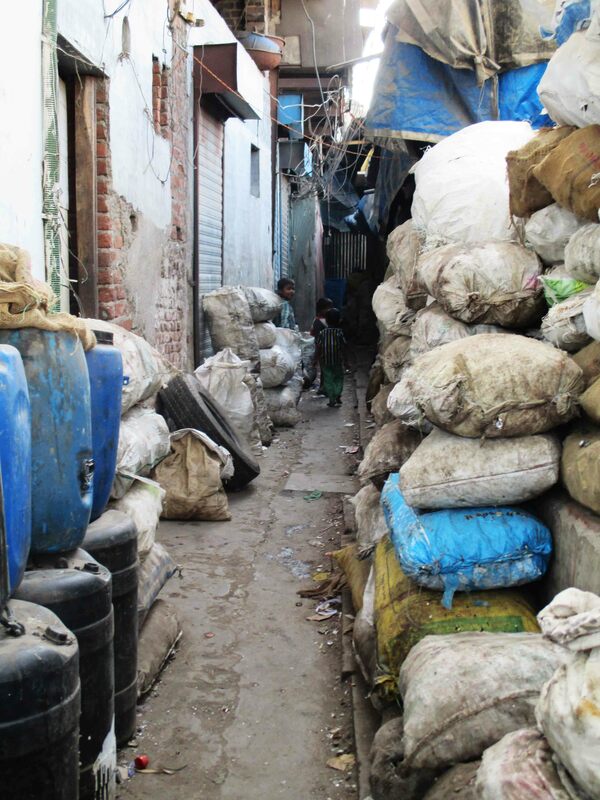 In Naik Nagar, just on the outskirts of Dharavi, the lanes are narrow and maze-like. 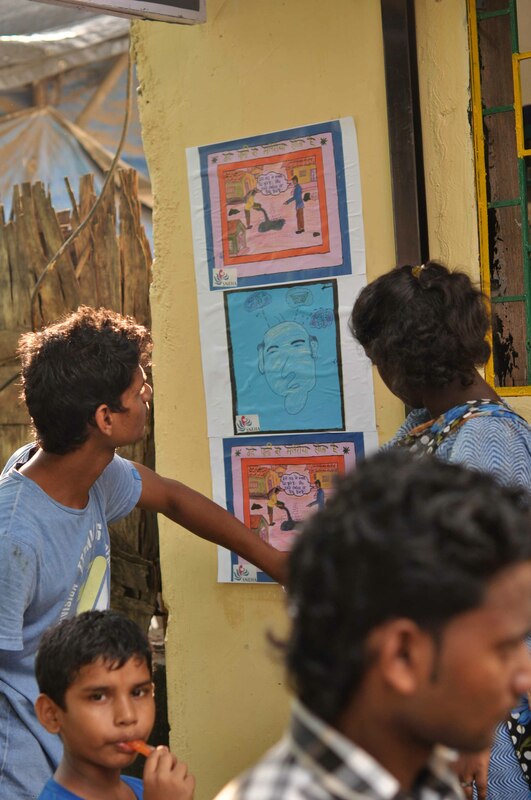 Sitaram, our logistics man, and many of our participants from the comics workshop are residents of this area and were quite eager to put up their comics to impress their friends and family. 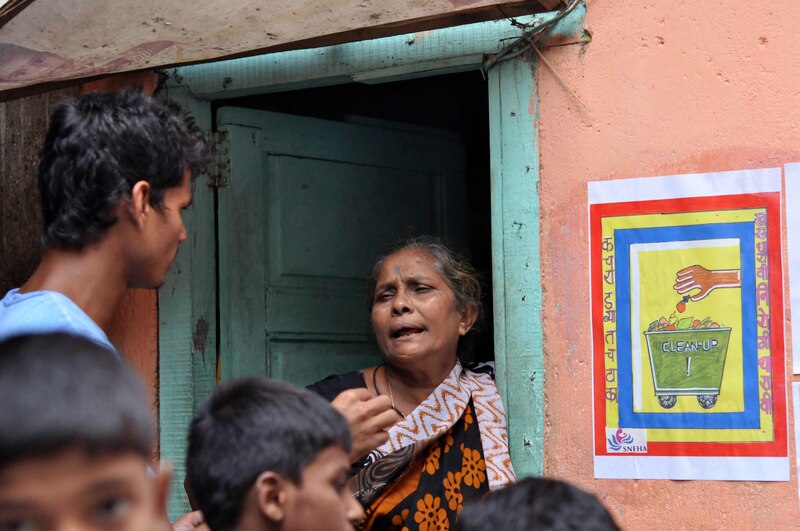 On a wall in the lane where he resides, Pinku put up his comic on an accident that occurs during the monsoon game of dahi handi. 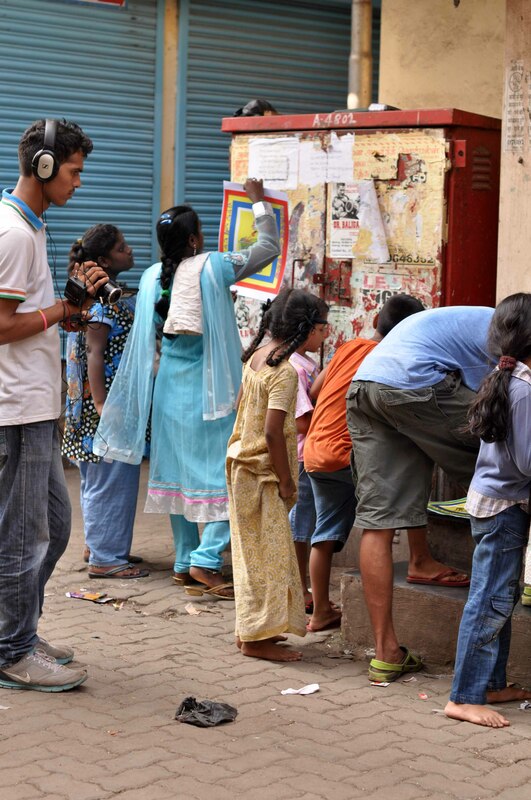 Priyanka and her sisters pasted their comics in their neighbourhood amidst curious children and bemused women. Sonali had drawn a comic about the aches and joys of the monsoon season. 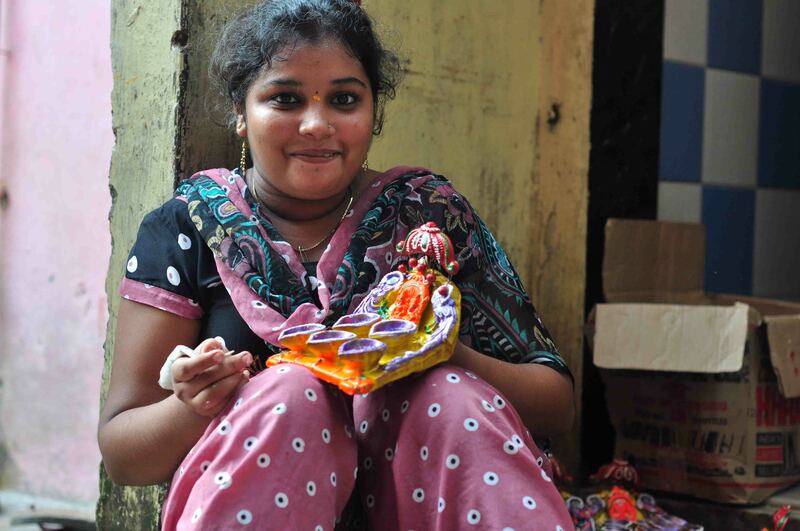 Her comic showed children making merry in the rains and soon falling ill with monsoon related diseases. 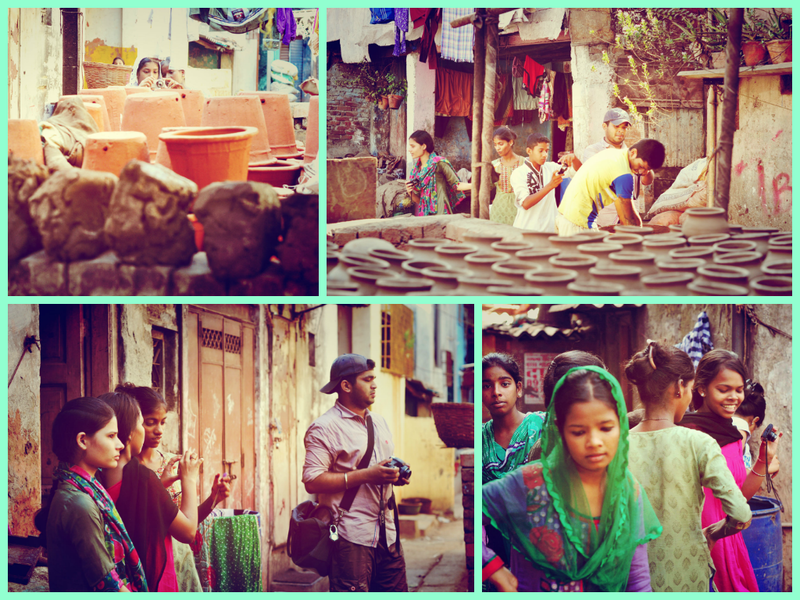 Another water theme was found in Nisha’s story about scarcity of drinking water in a village. 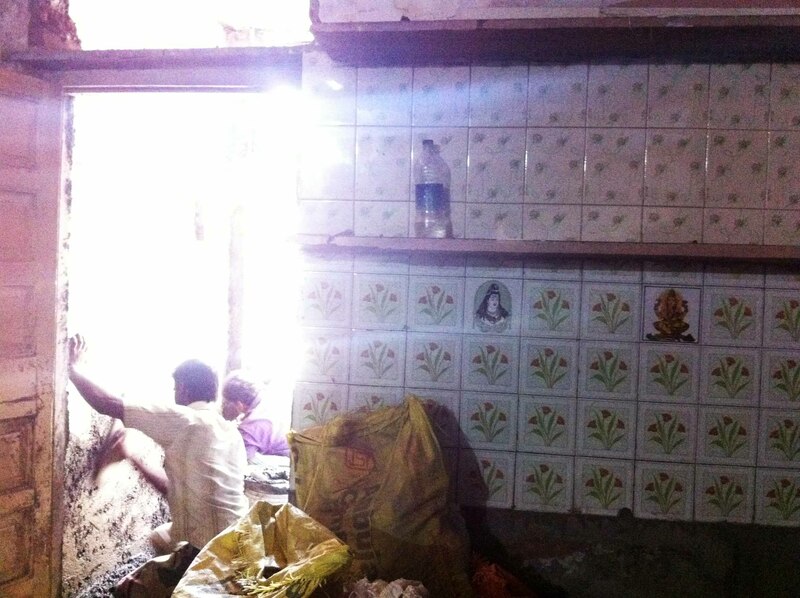 A small kiosk owner helped us put it up on the detachable shutter of his shop. We realised it’s not easy just talking to strangers on the road. We called men, women and children to consider the comics and we discussed stories with them. Some teenage boys teased us but we would like to believe we won them over as well. At the end of the day the forces got together and shared their experiences. 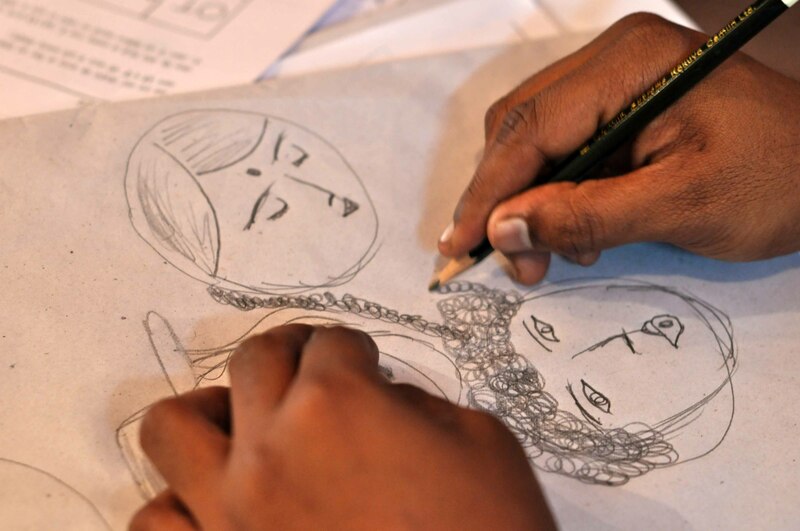 Komal and Jyoti had been motivated to make some more comics on their own. 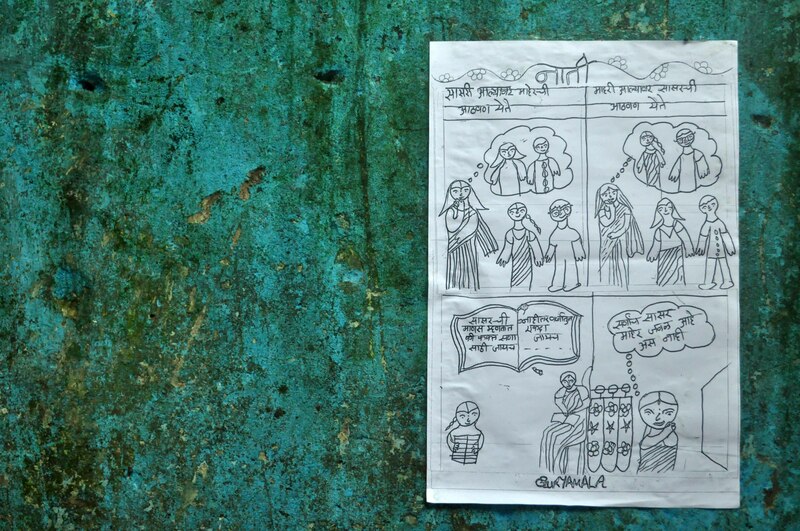 Komal had drawn an elegant comic with wolves and lions to discuss the theme of family planning. Operation comics street invasion. You could say it brought out the child in us. Exhilarated. Enthused.